Weight: 26.07 g., 30 mm. 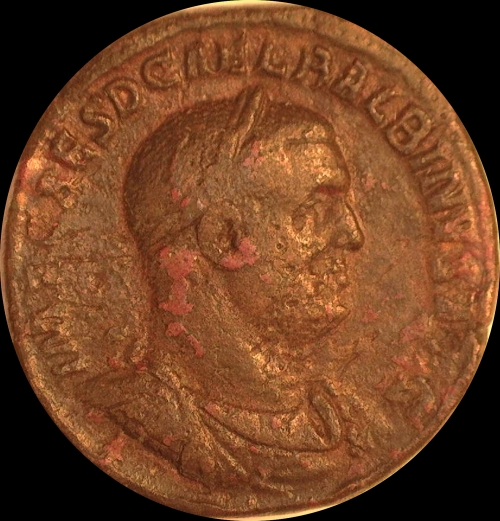 Balbinus, 238 A.D., AE Sestertius, 26.07 g., 30 mm. Obv. Laureate draped cuirassed bust right, around IMP CAES D CAEL BALBINVS AVG. Rev. 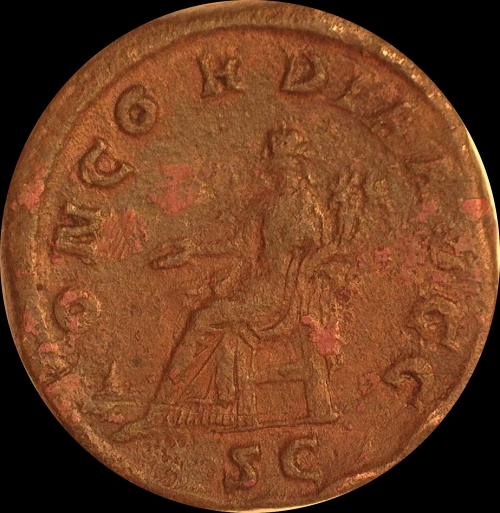 CONCORDIA AVGG around, SC in exergue, Concordia seated to left, holding patera and double cornucopiae, S.8494, RIC 22; C.4, BMC 18. Good fine and rare on heavy flan. $700.